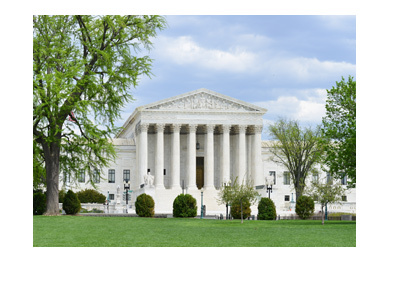 Shares of The Stars Group Inc. have hit an all-time high following the news that the US Supreme Court has ruled that a federal ban on sports betting is unconstitutional. Stars Group Inc., which trades as TSG on the NASDAQ stock exchange, is currently up almost 12% to $37.50 per share. 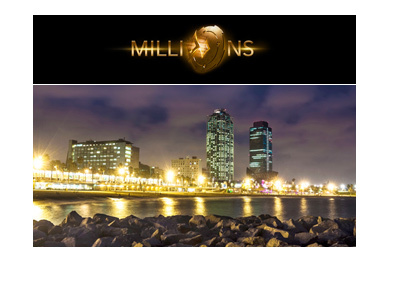 The company, which recently announced a planned acquisition of Sky Betting and Gaming, is seen as one of the purest plays to benefit from the expected widespread legalization of sports betting in the United States. The United States is a massive market, especially when it comes to sports betting. According to the American Gaming Association, nearly $5 billion was wagered on last year's Super Bowl alone. This is a massive opportunity for the Stars Group, especially following the news of their acquisition of Sky Betting and Gaming. The market is going to be hyper-competitive, though Pokerstars/Sky Betting should be in good position to take a reasonable amount of market share. The United States is the crown jewel of the global gambling market thanks to a mix of an obsession with sports and a high income per capita. When the United States stopped allowing online poker (via UIGEA), shares of publicly traded companies like Partypoker lost billions of dollars in market capitalization overnight for a reason. 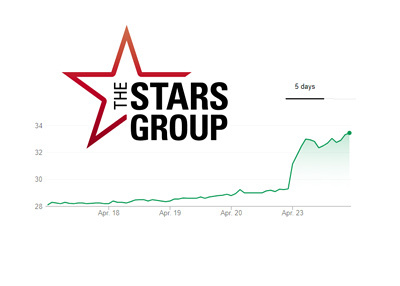 Today's news will allow The Stars Group Inc. to dramatically increase the amount of revenue that they take in from the United States virtually overnight, which is why their stock has been performing so well today.